The U.S. bank prime rate remained at 3.25 percent during the first half of April. While most categories of credit cards remained unchanged as well, the average rate of consumer rewards credit cards rose significantly. This rise in consumer rewards credit cards pushed the overall rate for consumer cards up to 16.98 percent, the highest since July of last year. What's especially noteworthy about this increase is that it came at a time when interest rates generally were falling. That contrast serves as an illustration of how complicated the forces affecting interest rates can be. Interest rates generally fall during periods of economic weakness, and recent weeks have been marked by growing pessimism about the U.S. economy. The highlight -- or low-light -- of this gloomy outlook was a weak report on employment growth in March. Interest rates generally responded to this bad news according to form, with Treasury bond yields declining across a range of maturities, and mortgage rates falling as well. Against this backdrop, it may seem curious that credit card rates should rise. 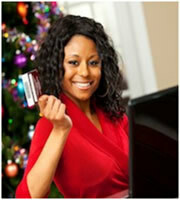 However, credit card companies must balance conflicting priorities when setting credit card rates. The general demand for credit, which tends to rise and fall along with the strength or weakness of the economic cycle, does have an impact on credit card rates, but so does concern about credit quality. Unlike mortgages, most credit card debt is unsecured, and thus credit card rates tend to be especially sensitive to concerns about credit quality. As the economy weakens, those concerns rise -- and credit card rates may rise along with those concerns, as was the case in early April. The rise in consumer credit card rates was caused by increases in some rewards credit card offers, which increased by 23 basis points on average to reach 17.75 percent. With non-rewards credit card rates remaining unchanged, this means that the spread between rewards and non-rewards rates widened by that same margin of 23 basis points, to stand now at 2.56 percent. This 2.56 percent represents the price consumers pay for rewards programs, which means they should think carefully about whether the benefits they receive from those programs is worth this price. However, that rate differential is only relevant for consumers who regularly carry over a credit card balance from one billing cycle to the next, and thus have to pay interest. Customers who pay their bills off in full every month should be able to participate in rewards programs without any extra cost. Student credit cards remained unchanged in early April, with an average interest rate of 17.42 percent. The last change to student credit card offers came in late February. Average rates for both business non-rewards and rewards credit cards held steady in the first half of April. For business non-rewards credit cards, this marks the continuation of a long streak of stability: there has been no change in that category of credit card offers since late 2011. The changes to consumer credit card rates affected only the higher tiers of rates. The lowest tier, or the rates available to customers with the best credit, remained unchanged. As a result, the difference between rates for customers with excellent credit and those for customers with mediocre-to-poor credit rose by 17 basis points, to 4.17 percent. This represents an increased price that consumers must pay for having bad marks on their credit histories. 0 Responses to "Consumer rewards credit cards get more expensive"